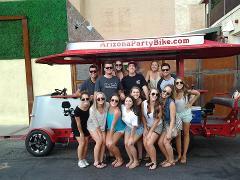 Pedal the party bike steered by our pilot to three downtown Phoenix bars, complete with exclusive drink specials! 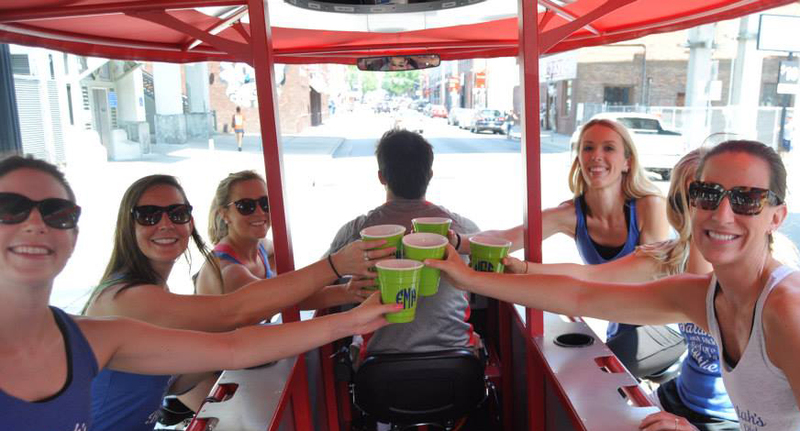 Book anywhere from one to fifteen seats on this pub crawl, where your certified party bike pilot will bring you and your merry band of companions to three of our partner establishments! 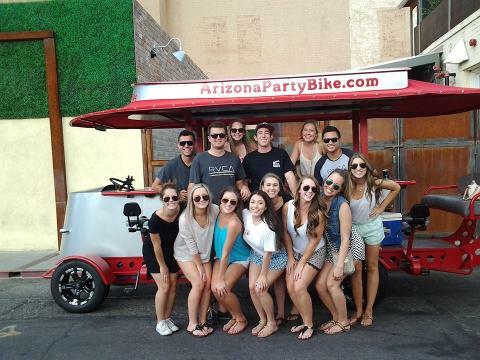 The party bike operates in the downtown Phoenix area, known for its eclectic mix of entertainment, arts, and nightlife — and the party bike is the ultimate way to experience it! 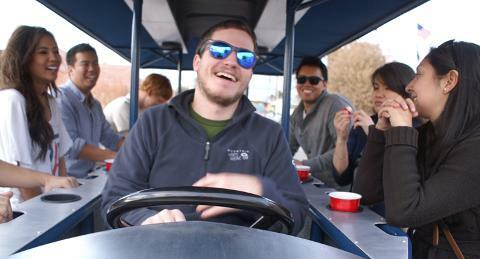 Bring your friends and meet some new ones. 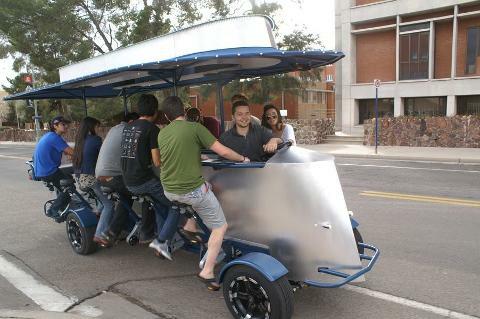 With a premium sound system and LED party lights, the 4-wheeled, 15-passenger party bike is like a pedal-powered party bus — you can bring your own beer and wine on board! 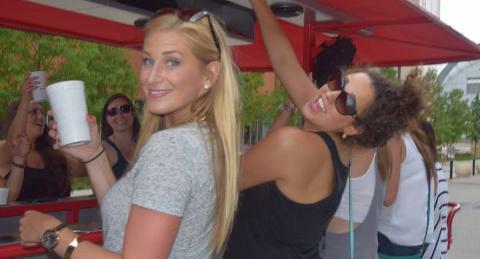 The Downtown Phoenix Pub Crawl is perfect for any day or night out with friends, birthdays, bachelorette parties, tourists visiting Phoenix, conventions and small groups that can’t fill a whole bike!